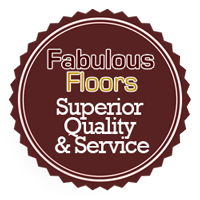 We love hearing how your experience was Fabulous Floors Pittsburgh. Please share your thoughts with us on the service we provide as well as your interactions with our team. Your feedback helps motivate our team and teaches us where we need to improve. We welcome all types of reviews and feedback and hope to solve any problems or flaws in our systems and processes immediately. Whether you’ve worked with the Fabulous Floors Pittsburgh team on either a hardwood resurfacing or a hardwood refinishing project or simply have some general feedback, we look forward to hearing from you! Please click on one of the icons below to share your feedback. It takes just about 30 seconds to leave a review and we’ll be sure to include it here on our website as well. The floors are beautiful and look wonderful. The guys are knowledgeable, friendly, and hard working. They are proud of their work. The floors look great and after the work got started, it all happened right on schedule. The start date was postponed a bit from the original planned date and I suppose sometimes life happens, but other than that, I’m perfectly satisfied with the end result. Fabulous Floors Pittsburgh refinished hardwoods throughout the house. They were prompt, efficient, courteous, and friendly. The cost was very reasonable and the work was high quality. I would highly recommend. Fabulous Floors were great from beginning to end! They were very knowledgeable and meticulous about their work and it definitely shows in the end result. I’m extremely happy with them and I would recommend them to my friends and family. Terrific job, floors are beautiful. Everything delivered as promised. I love the transformation! Tony was very maticulous, professional & informative on each step of the process. He would text his ETA daily so I would know when he would arrive & explained how to care for the finished floors to keep them looking Fabulous. Was a pleasure having Tony in my home sharing his expertise & craftmanship. Tony and Matt are amazing guys! Matt made it so easy to get an estimate, schedule our day and plan according to our schedule. We highly recommend Tony who made our floors look FABULOUS after all the work of sanding, giving us samples of stain colors in our home, perfectly sealing off the rest of the first floor and now we have a masterpiece! Red mahogany is what we chose and Tony made it so beautiful! He kept everything clean, hassle free, and easy to do business. On time and trustworthy is priceless, that’s our Tony. Such a sweet guy and shows his experience, we couldn’t have asked for a better experience!! I had a wonderful experience with Fabulous Floors. Matt was great to work with on the phone and Tony did a fantastic job on our floors. He got out what looked to be a pretty deep pet stain, and our 100 year old floors look as good as new! Highly recommend! Excellent and beautiful work. Incredibly fabulous flooring skills! Fabulous Floors does an absolutely incredible job! We just purchased a home that had original hardwoods that were worn down and a little too light colored for our style. We hired Fabulous Floors to refinish the wood floors throughout the entire house. Our contractor Jim and his counterpart are finishing our floors today and the finished product is more amazing than we could have ever imagined. Jim was a pleasure to work with, and his knowledge and passion really shows in the work he did. He helped us decide on the proper stain to complement our existing woodwork, and made sure we understood the differences between the different finishes and options available to us. He went above and beyond during every step of the process and communicated to us regularly. I would hire Jim over and over again because the experience was so great. I could not recommend Jim and Fabulous Floors enough. Great work! Wow! Our 71 year old floors really came to life when Jim and Rob did our floors last week. Jim is a true artist and craftsman, seeing the beauty beneath the scratched and dull surface of our Maple Floors. I would highly recommend Fabulous Floors to friends and family.